Certainly one of Tchaikovsky's most famous compositions, and perhaps one of the most famous ballets in the world; the Nutcracker Suite is a holiday classic. 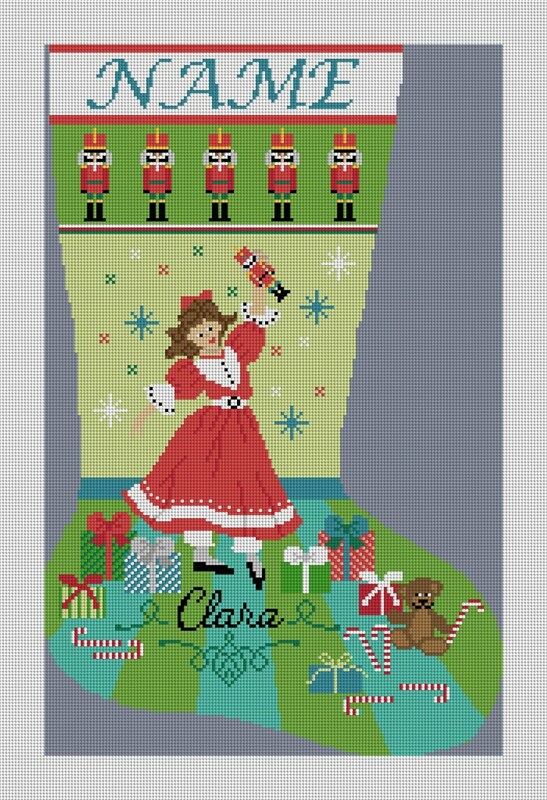 Our Nutcracker Suite needlepoint stocking canvas, features the main character, Clara, dancing with the Nutcracker that her grandfather has given her as a Christmas gift. This makes a fabulous gift to stitch for the holidays, and will certainly become a family heirloom. A beautiful piece to stand alone or can be accompanied by our Mouse King and Sugar Plum Fairy needlepoint stocking kits.